Why a copywriting agency is good in a recession. A recession is the kind of time when every business needs a good copywriting agency. 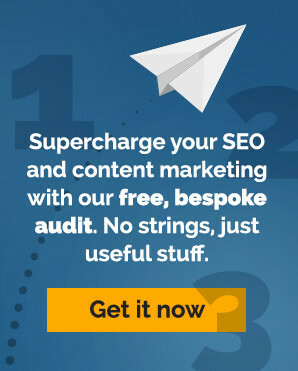 In the scramble to try and encourage the great British public to part with what little disposable income they have, businesses are having to completely rethink how they promote themselves in the current economic climate, and that often means turning to an expert copywriting agency. This recent holiday period has proved that, with no shop worth their salt giving anything less than 50% savings on sale prices. If it isn’t 50% or more, it isn’t a sale. The high street has become full of price-savvy customers who have used the Internet to do a price comparison before they go shopping. The gullible customer of yesteryear is no more. This ‘mugging up’ (the polar reverse of ‘dumbing down’?) of the customer has filtered through to Internet customers too. Potential customers now don’t just want good prices – they want to be entertained, engaged and cajoled by websites that grab their attention and don’t let go. So where does the copywriting agency come in? A good SEO copywriter, like the kind employed at a copywriting agency, can sense the change in the wind and adapt their writing accordingly. Not only is the human audience responding to a changing climate, but so are the ‘bots that crawl across the web, looking for pages worthy of listing in the temple of Google. The search engines adapt to cater for changing practices in how humans search the web and so must a copywriting agency. UK businesses are perhaps a little more aware of this changing groundswell and are therefore quicker to adapt their sites accordingly. Old style blatant hard sell is no longer the order of the day, but a softer, more persuasive method that hides the hard sell under an interactive experience demanded by the reader. It isn’t enough any more to just say ‘look how good this company is’ and stuff the copy to the gills with keywords. Now a more subtle approach is required – customers want an entire experience, not just a site that sells stuff. As this shift in New Media techniques takes hold, web copywriter techniques have to change too. It’s not enough any more to have a good grasp of English to become a web copywriter. UK copywriters now have to have a thorough understanding of the psychology of business as well. Another very interesting post. Fascinating to see where copywriting is heading. Seems to be something new happening every day, which of course makes it exciting for us!